We are always open for more General Board Members! You can Always join us as a volunteer! 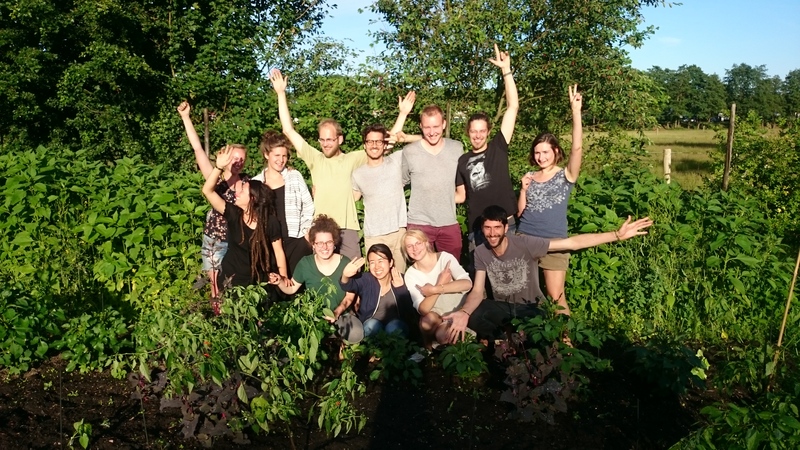 Are you a students at the WUR and would like to be involved in the Boerengroep, organizing trips to farms and gardens, work along on the field for hands-on experience, set up our yearly summer course on agroecology in practice? Or are you more an artist or designer who can make artistic posters for us? However you’d like to join, you’re most welcome to join the group. 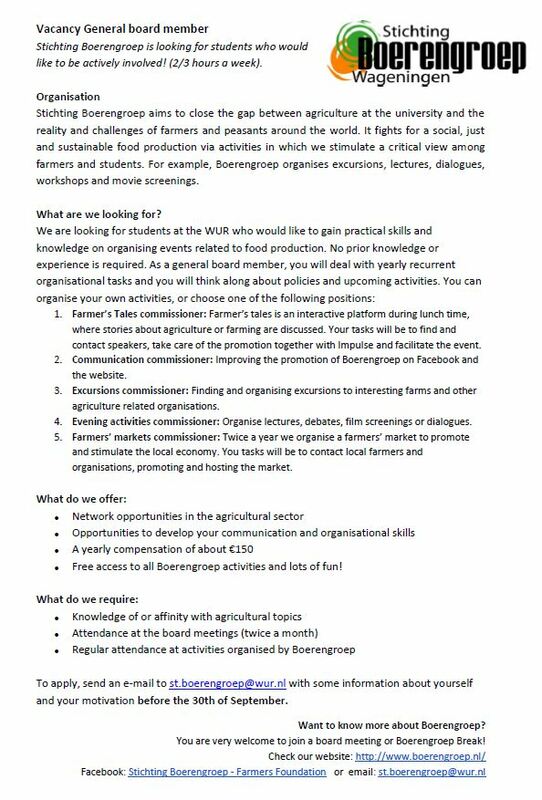 Send us a mail and we’ll get back to you (st.boerengroep@wur.nl) or pass by at our office (Generaal Foulkesweg 37, Wageningen). 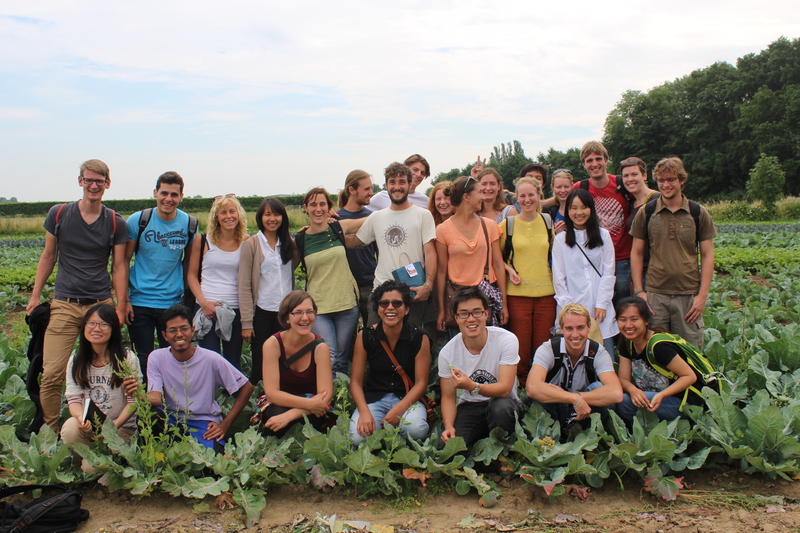 Internship Opportunity Boerengroep: organize the FEI summer course on Agroecology! Note that this internship will take 5 months: 1st of April – end August 2018. The first phase of the internship (April, May, June) will be part time, so it is easy to combine it with courses, or writing a thesis proposal. The second part (July – August) will be full time. You will also join the complete FEI summer course, and so it is possible to get the extra 3 ECTS for the course, by the RSO chairgroup!